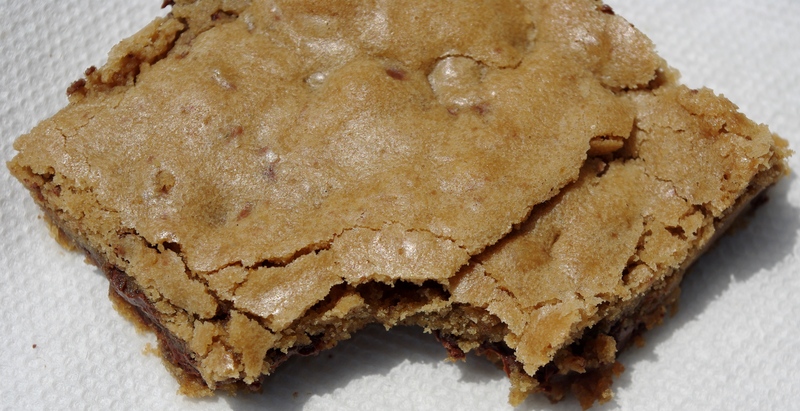 For our soccer tailgate on Saturday, I went with Baked’s Brewer’s Blondies (page 129–there was a photo on Page 127). Not your usual blondie–which usually is a brownie without the essential ingredient, chocolate–these rich bar cookies have powdered chocolate malt balls in them, adding an unexpected and delicious twist (not to mention chocolate). Underbake them slighty and you will end up with blondies that tend toward a caramel center. Delicious with beer, they’d probably be better with milk. Or ice cream.